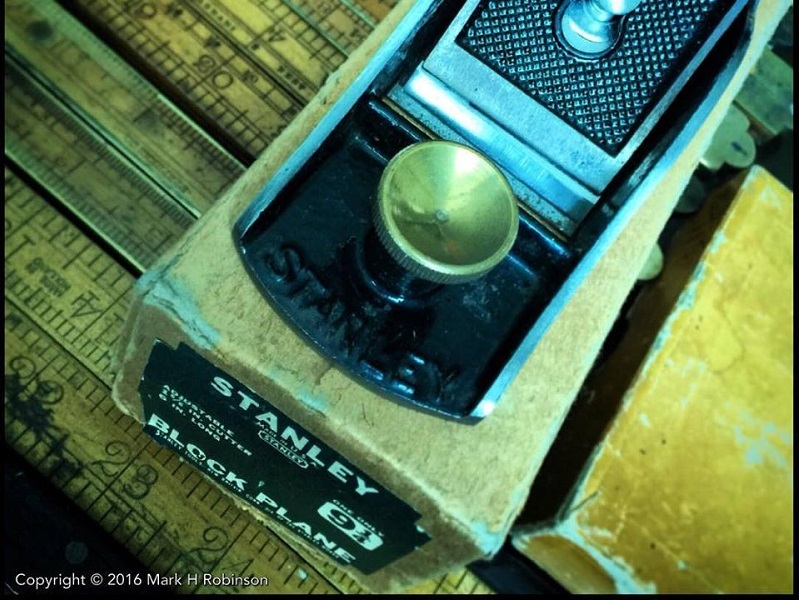 Block planes are very simple low angle planes intended for one-handed use on end grain. There are general purpose and special purpose variants – every manufacturer produced them, and Stanley produced more than three dozen of them over the years. This example is a No. 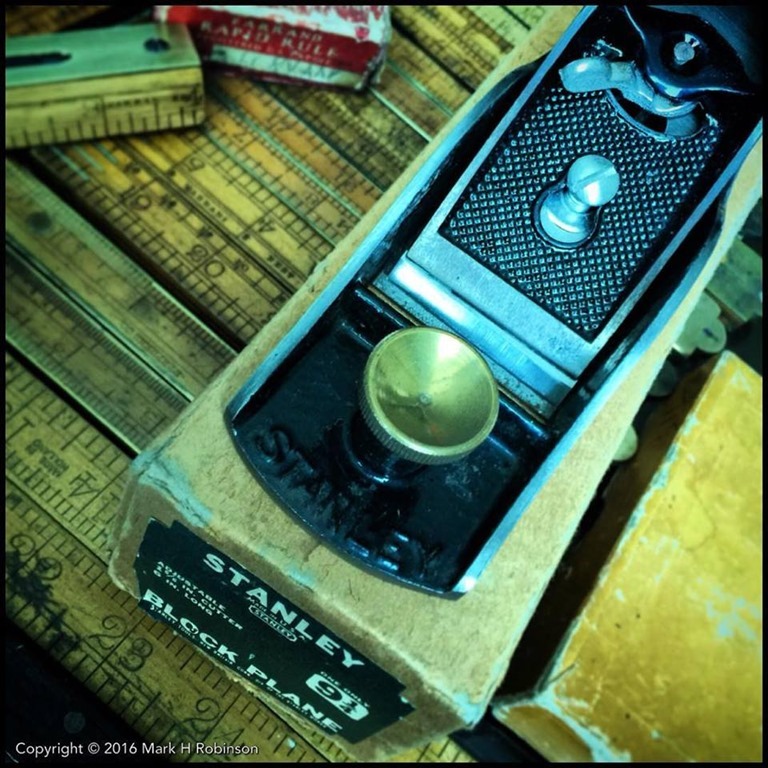 9 1/4, a simple block plane with a twenty degrees angle on the iron, and lateral and depth adjustment. It was introduced in 1947 during the lean post-war years as a cheaper alternative to the well-established No. 9 1/2 that entered the range in 1873 – cheaper because it had a fixed mouth compared to the adjustable mouth on the 9 1/2. The 9 1/2 was discontinued in 1981, the 9 1/4 lasted another year. Very lightly used, and with its original box in good condition, it is an early production example from circa 1947-1950. The black japanning on the body is perfect, and the whole tool is almost unmarked except for a few scuffs on the raised and curved portion of the lever cap that sits in the palm of the users hand. The blade still has the factory grind (it was clearly never sharpened), and has been used so little that the edge is still good. I have several examples of the 9 1/4 in the vast archive, and a couple of users too – but for use I prefer the adjustable mouth on the 9 1/2.